3M Liqui-Cel Membrane Contactors can reduce operating costs, lower maintenance, and simplify dissolved gas control using a small device that enables high performance and compact system design. 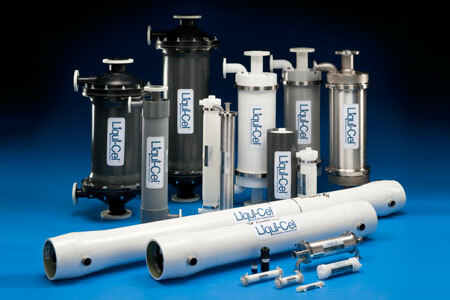 3M Liqui-Cel Membrane Contactors can reduce operating costs, lower maintenance, and simplify dissolved gas control using a small device that enables high performance and compact system design. They are cleaner to operate and typically have much shorter start-up time compared to conventional stripping tower and forced draft technologies. Additionally, 3M Liqui-Cel Contactors can help customer meet sustainability objectives by reducing chemical use and lowering water use in some water treatment process systems. 3M Liqui-Cel Contactors do not require chemicals to operate, so fewer chemicals may need to be introduced into a water treatment system, stored on site, handled by employees and disposed of after use.